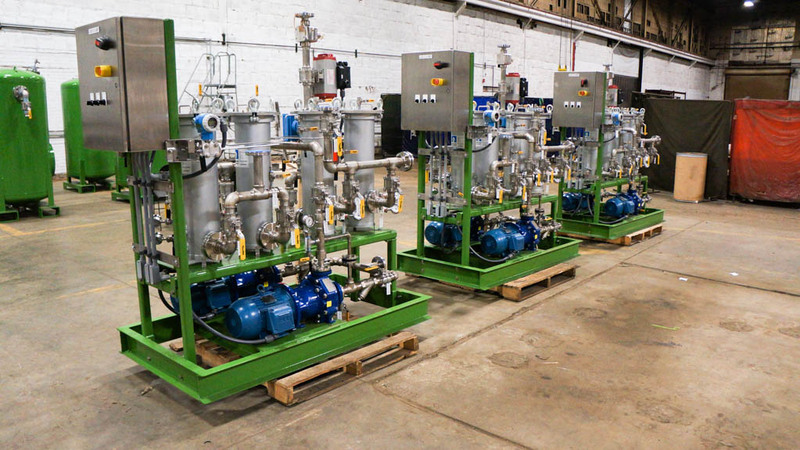 An aluminum manufacturer in the Northeast utilized SAMCO’s ion exchange technology to minimize waste and treat it for reuse in its production process. 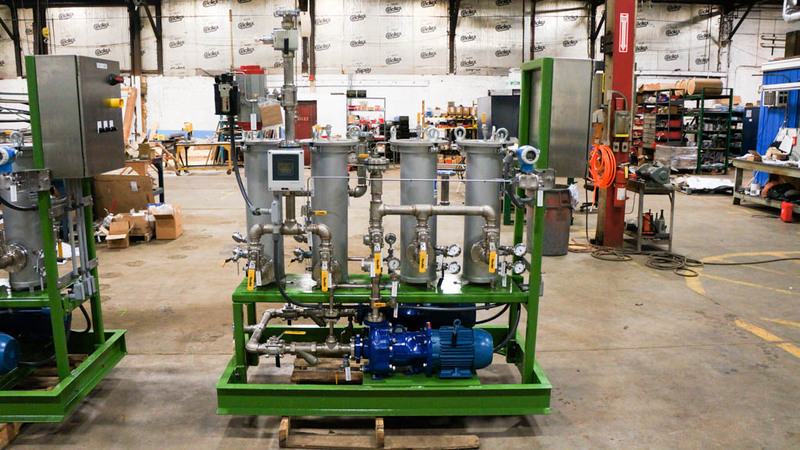 SAMCO delivered a detailed process, mechanical and electrical design and engineering, controls integration, system fabrication, installation, commissioning, startup, and training. 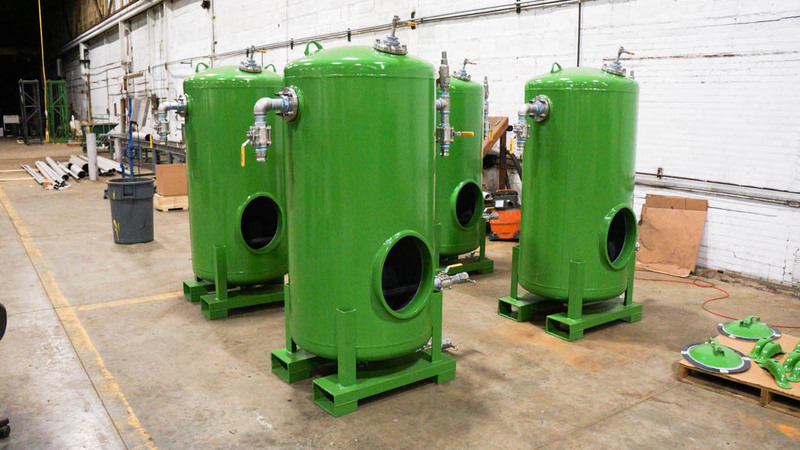 To help the client recycle their chemical bath for reuse in their manufacturing process, SAMCO worked with the client to implement a custom engineered solution. 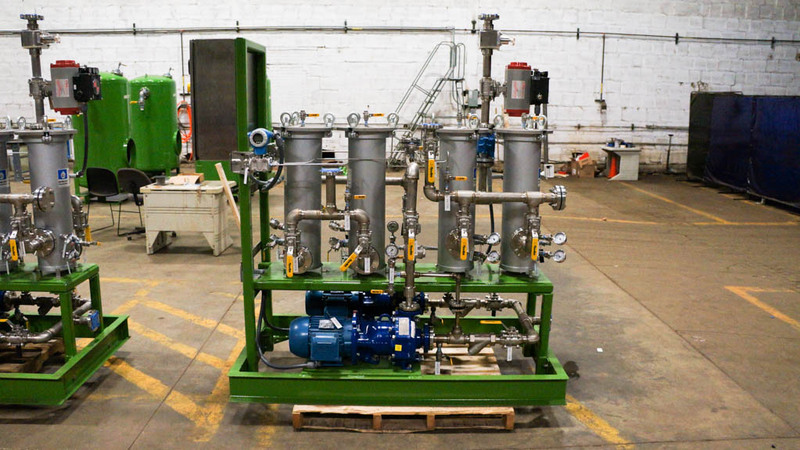 Utilizing the resin technology of SAMCO’s prepackaged ion exchange alongside various forms of filtration, the client was able to minimize waste and recycle it for reuse. To compensate for limited operator availability, SAMCO installed programmable logic controllers (PLC) to automate flow, temperature, pressure, and resistivity monitoring.